Access your active network interfaces (such as Ethernet, WI-FI, Thunderbolt), external IP/Country and traffic statistics. Visualize your network traffic, network activity, calculate traffic since start up time. IP Geo Location detection does not depend on third party databases or services: we use our own service with no logging. All your data is private. You can use Netler to view each network connection, including the hardware address of the interface, the IP addresses assigned to it, its speed, gateway information (including the hardware address and the IP addresses assigned to it) and status (active or inactive). Netler is fully localized in English, French, German, Italian, Spanish and Russian. 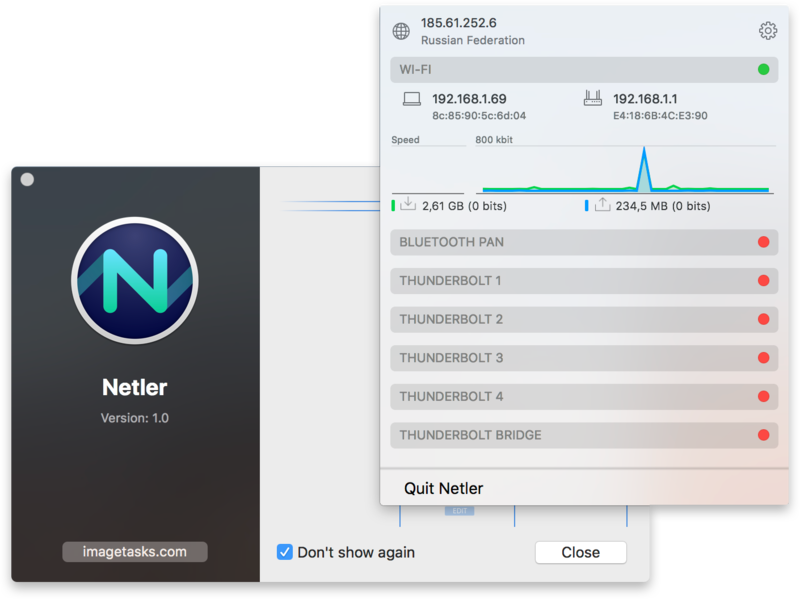 Simply slide out Notification Center and browse your network interfaces without interrupting what you were doing. Monitor your Internet throughput, usage, connection quality. 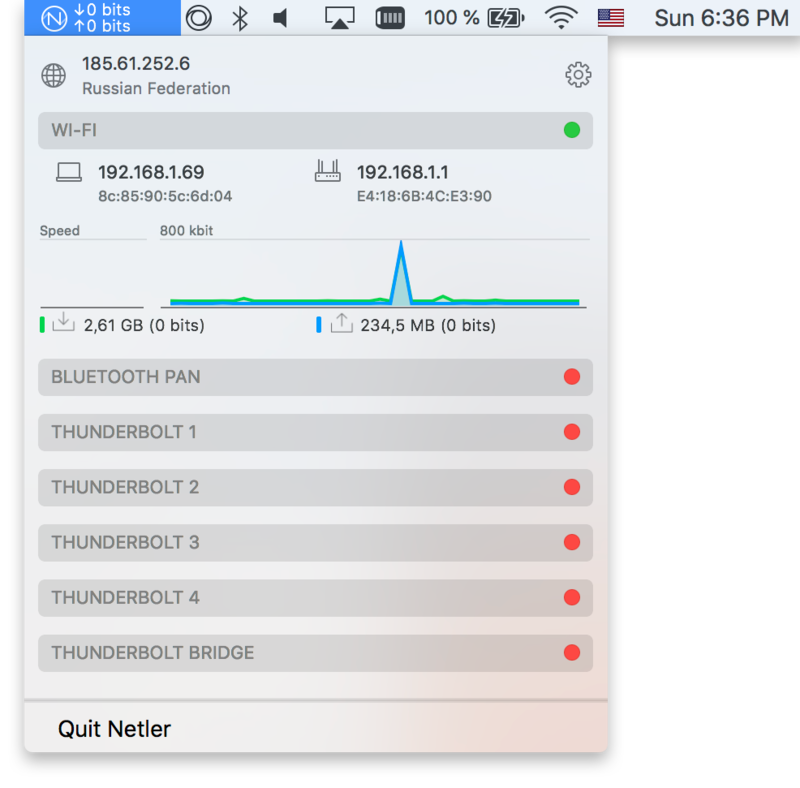 Check speeds of your ISP right from Notification Center. Looking for complete system monitoring solution? 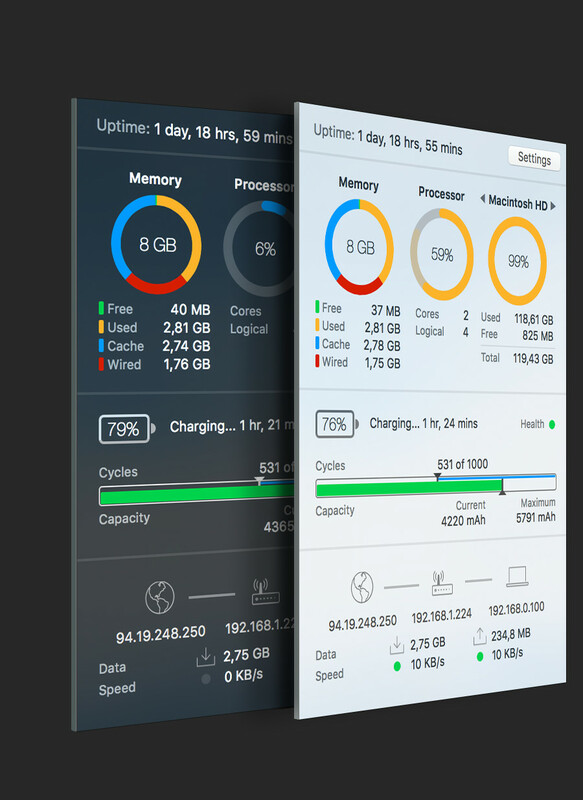 iStatistica provides an easy way to eject external drives, overview your battery statistics, realtime informations about CPU, RAM usage and much more. Network statistics includes external, gateway and local IPs, speed and data rates chart. Just click on the ip address to open it in the default web browser.